Having lived in the UK for twenty years, I have learned to appreciate the wonders of good Indian food. I avoided it for a long time, having heard it was just hot hot hot. I had no experience with it and didn’t get adventurous. Once I had someone explain it to me and take me through some dishes, I was off and running. Now, I love it and eat it often. The hard part in the United States is finding good Indian food. Aroma, which is in the little water-side town of Benicia, CA is the place to go. (Ok, I do know that Berkeley is an Indian food haven.) 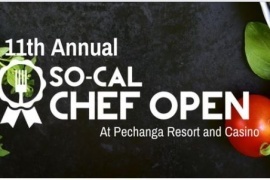 Every single thing about this place is quality; the food, the service, and the atmosphere. We have to give our friend Amy credit here; she’s the one who discovered this place. She keeps score on her good restaurant finds. We didn’t know this before the review, but Aroma, Benicia has a sister restaurant in downtown Napa called Aroma Napa. We will have to try this place out too. We first visited Aroma several years ago with Amy on a group night out with a bunch of friends. All of us were raving about the entire experience. That same group had been to other Indian places, but none were as good. 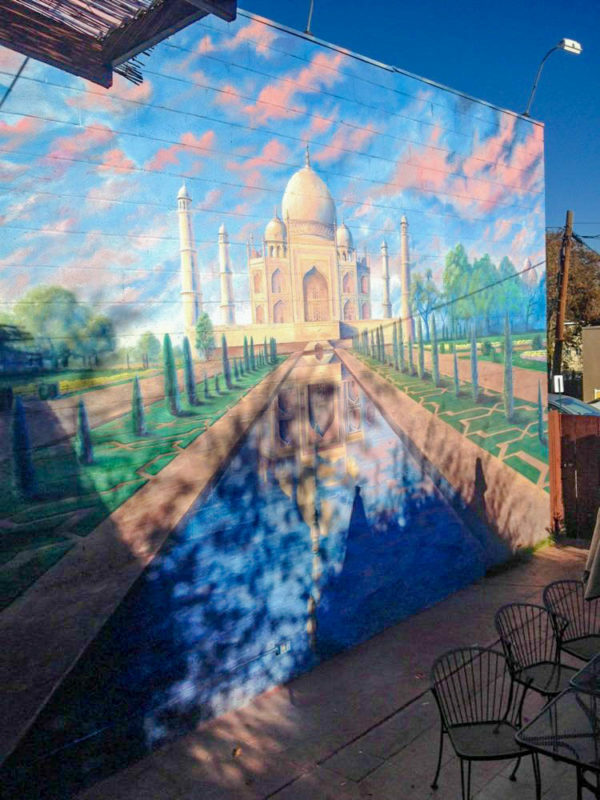 We all enjoyed the outdoor back patio area where there is a mural of the Taj Mahal. Recently, The Brit and I took a friend of ours from the UK there, and again there were raves all around. 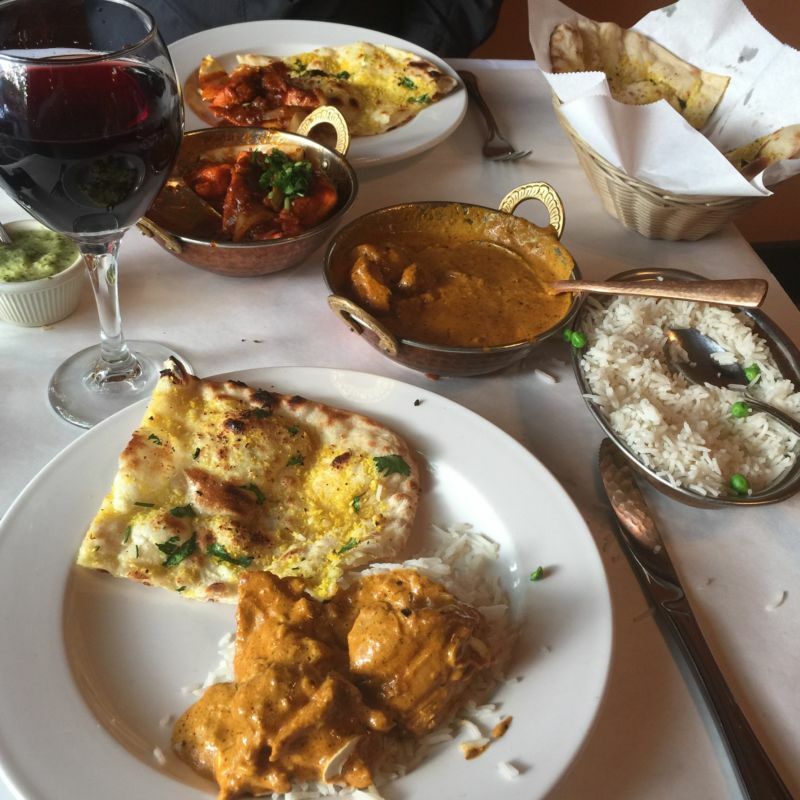 We were thinking of a date night on a Friday and decided to go and treat ourselves to some yummy curry. As always the service at this place was awesome. We had a main waiter and a busboy/waiter who was constantly filling our waters, clearing plates, and making sure we had all we needed. 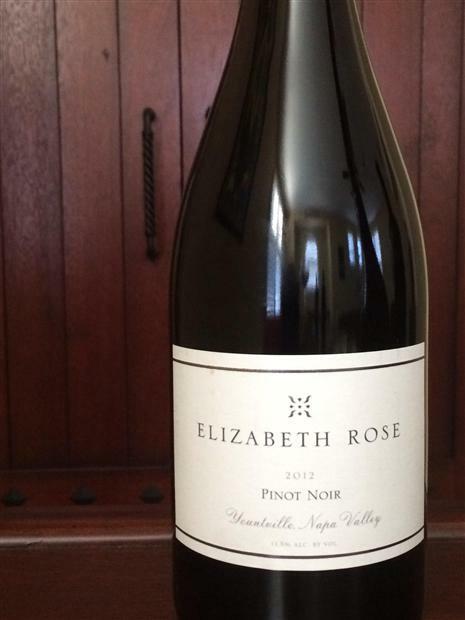 We were in the mood for wine; I ordered a glass of Elizabeth Rose Pinot Noir from Yountville. Wow, what a surprise that was. It had a very pleasant but minimal nose, so I had no idea what to expect from the taste. When I tasted it, I got the first notes of soft rich fruit you would expect from a good Pinot Noir, but then at the end my taste buds were treated to a spicy flavor like jalapeno. It was really unique and delicious. I have had wines with notes of spices and black pepper before, but nothing like this. The Brit and I have put this tasting room on our list for further exploration of wines by this vineyard. We ordered the chilli chicken and the chicken korma. We also ordered garlic and plain naan bread along with some Basmati rice. We started off with some poppadoms, which were served with mint sauce and tamarind sauce for dipping. The tamarind sauce was absolutely delicious; the perfect complement to the crunchy poppadoms. We liked the mint sauce too, but we were too busy with the tamarind sauce to pay it much more attention. When our food arrived, we took our photos; just enjoying the sight of the food. The smells too were filling our senses. The taste was out of this world. Like every other cuisine, you can really tell a good Indian by the use of fresh ingredients that you can see. Yes, curries have thick sauces made of lentils, chickpeas and cashews, but that doesn’t mean that they should look like a stewed mess of goo in which you can’t identify what you are eating. At Aroma, the food looks as appetizing as one would hope. My korma was a little on the spicy side. You can order the food to be made mild, medium, or spicy. I ordered it with chicken as my meat, although it can be lamb or seafood if you prefer. You can also order it vegetarian. Many of their dishes are vegan. The korma is a cashew based sauce with a bit of cream; delicious. This is usually a good dish for people who are unused to Indian Cuisine. If you eat it mild you usually get a creamy, very light coconut and cashew flavor in it. Another great starter dish is butter chicken. I think I have had it at Aroma, although it wasn’t on the menu. The most famous and popular dish in Indian restaurants is chicken tikka masala. The Brit’s chili chicken was just beautiful. It was a chicken dish with onions, peppers, chilli, and ginger. He ordered it in medium heat and had a sweat going. The Brit comments: The dish, as also the case with their chicken karai has lots of large pieces of tender chicken served with beautifully cooked onions and peppers. Aroma does not fall into the trap of hoping that the spices will hide low quality meat. If you do get something too spicy, order the mango lassi which is a smoothie of fruit and yogurt; the sweetness plus the yogurt will take the spice away quickly; plus they are very delicious! 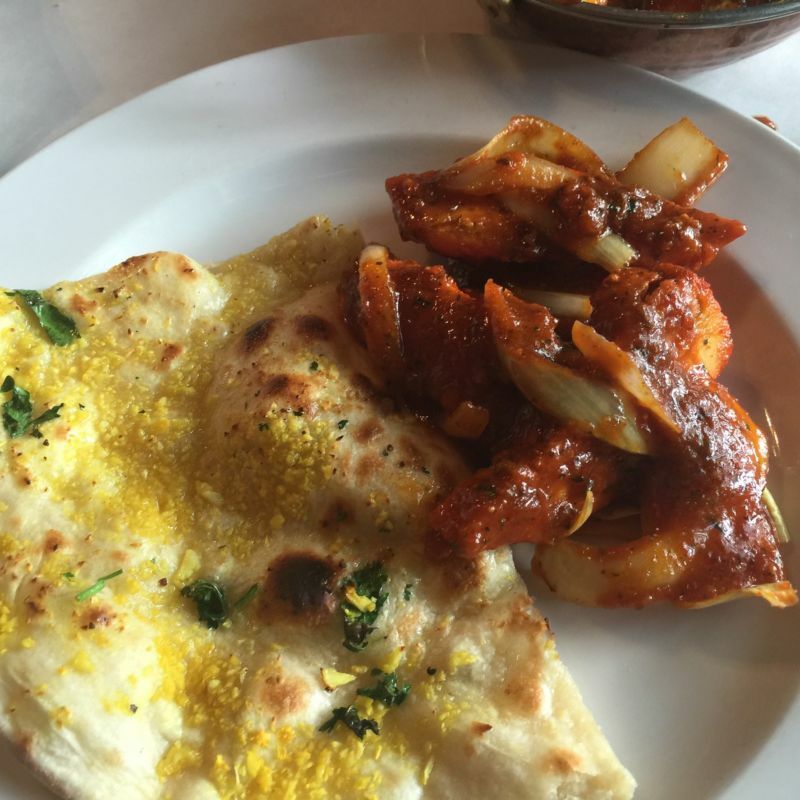 The garlic naan bread was so good. As with Mexican food and a tortilla or Mediterranean food and a pita, naan is the bread you use to tone down the spices and complement the food. I could sit and eat good naan as a meal on its own. The Brit Comments: I think that the quality of an Indian restaurant is reflected in how fluffy and flavourful are the naan they serve; Aroma gets top marks. If you are hungry and want to try some appetizers, I would highly recommend the Samosas or the Pakoras; both are wonderful. It is also customary to eat mango chutney with your poppadoms. They did not serve it to us this time, but usually they do as a condiment. We were so stuffed after all of this food that we didn’t have any room for dessert. After wrapping up our leftovers and paying our check we went to leave and our waiter followed us to the door. He was disappointed that we didn’t have room for dessert and he was wishing us to return soon. He had such a cute personality, I photographed him on our way out. 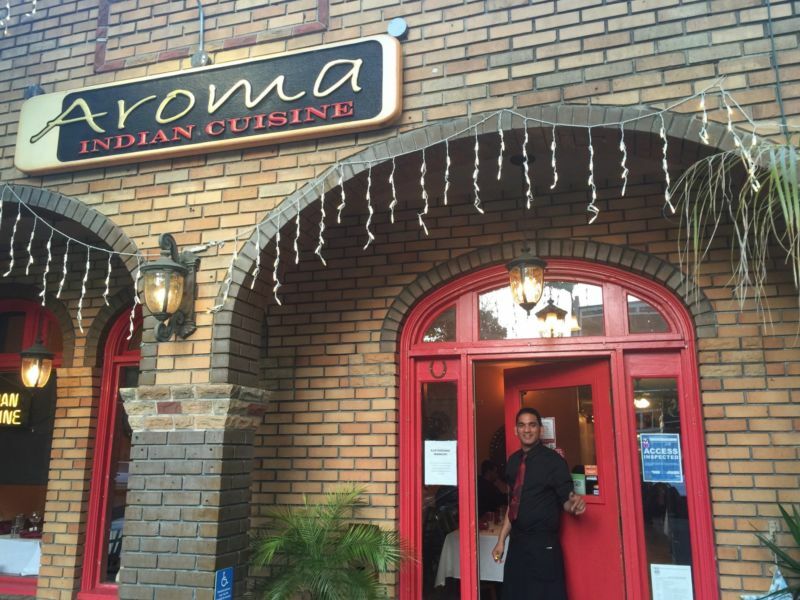 We would highly recommend you eat at Aroma in Benicia. The Brit Comments: In the decade since moving to the US, I am glad to report that it is become easier to find Indian food. However, I have yet to find one that combines service, ambience, and quality of food as well as Aroma. Whilst California Girl was away on one of her recent excursions, I came back here and enjoyed food and service every bit as good as that described in this post. 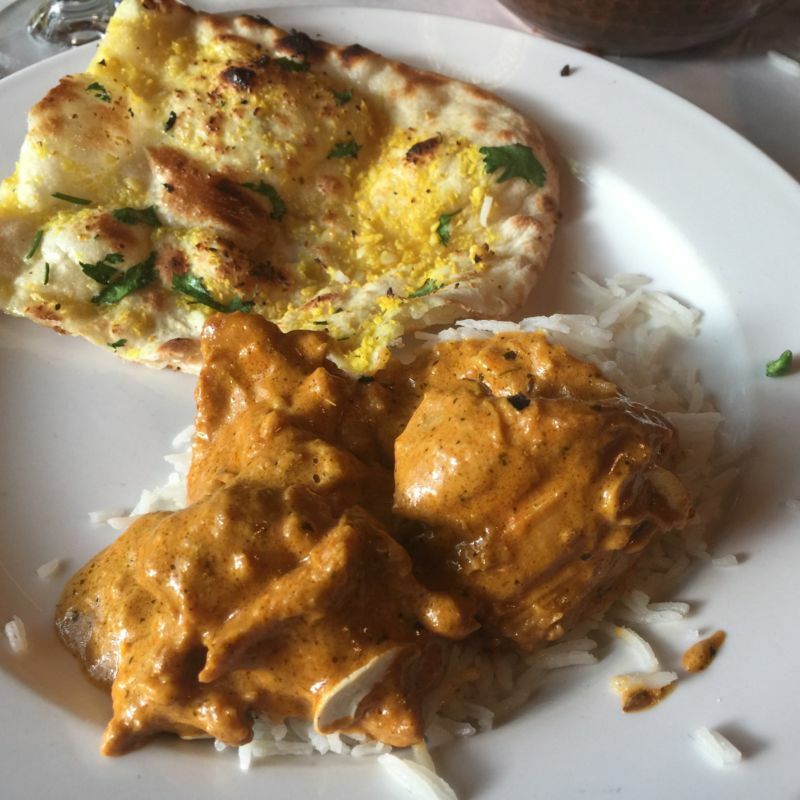 Writing this post is making me hungry as I think of naan and richly spiced chicken.